Hotel Organic Bamboo Sheets Queen Just $22.99 + FREE Shipping! You are here: Home / Great Deals / 6 Pc Egyptian Comfort Bed Sheet Set In Queen Just $20.99! Ships FREE! 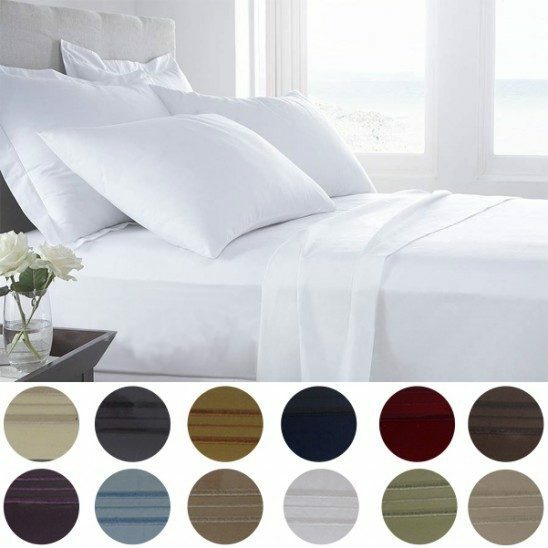 6 Pc Egyptian Comfort Bed Sheet Set In Queen Just $20.99! Ships FREE! Curl up and sleep peacefully with this Presidential Collection 1800 Series Egyptian Comfort 6 Piece Bed Sheet Set! This sheet set is soft and smooth to the touch. Providing elegance and sophistication the Presidential Collection 1800 Series Sheet Set is the graceful and modern look for any bedroom. No matter how often they are washed, these sheets retain their vibrant color, providing the needed charm to complete any bedroom. These sheets are made of high strength micro fiber yarns that stay comfortable and wrinkle free for year to come. Get the 6 Pc Egyptian Comfort Bed Sheet Set In Queen for Just $20.99! Ships FREE!